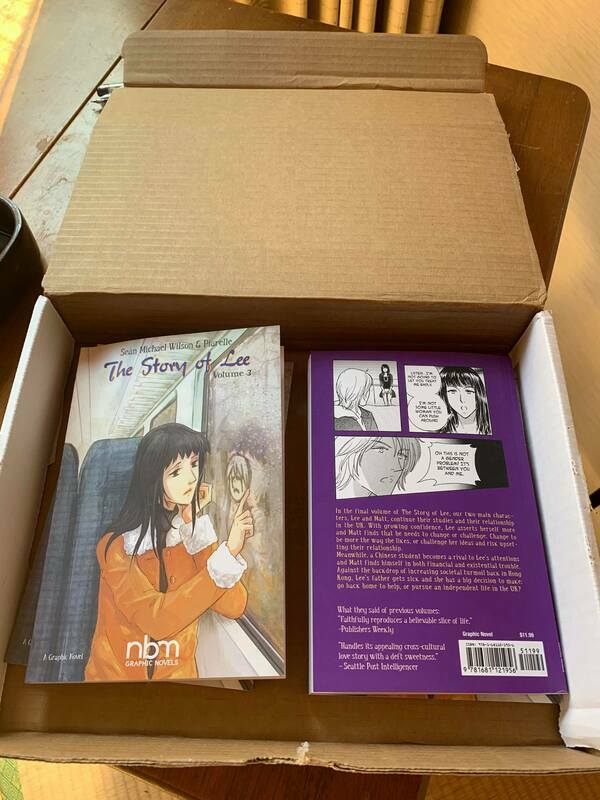 ​The 3rd volume of our book THE STORY OF LEE arrived with me today from the publisher in America! I’m very glad to see it. One of the good things about books taking so long to make is that when you received the finished book its often a year or so since you wrote it, so you can read it fresh, almost as if for the first time. I think volume 3 is excellent and the artist, Pirelli, has done a very good job on the art - especially as its her first book! Thats the last in the series and a good way to wrap up the story of Lee, Matt and the others. Supplemented by a copious Glossary and Notes section defining the specific vagaries of accent and slang whilst offering geographical and historical perspective on the many actual locations depicted, this is a deliciously compelling drama playing with well-established conventions and idioms of romantic fiction and teen soap opera. ​By Sean Michael Wilson, art by Nami Tamura. 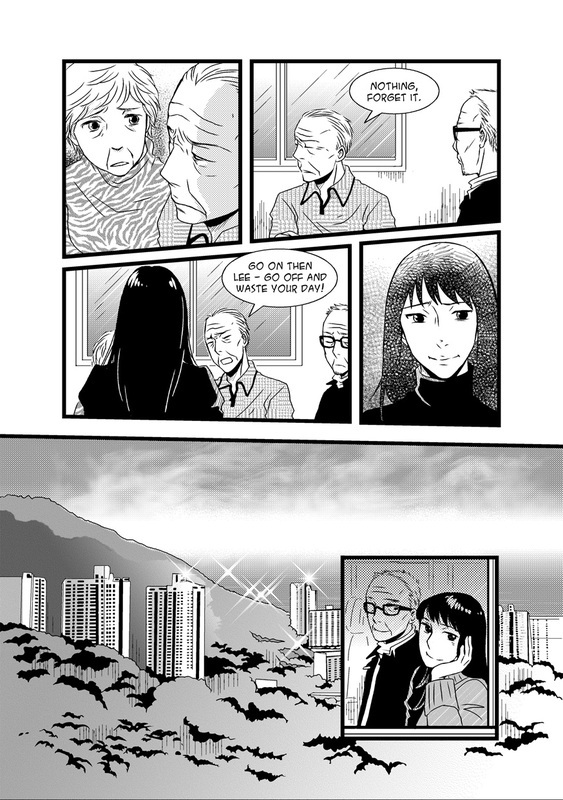 "Finally Lee’s dream comes true, as she moves from her native Hong Kong to her dream location of the United Kingdom and with her dream guy, the handsome Matt. But of course, then comes the reality of being in a new country and actually living together, which might not be so easy, especially as Matt’s best friend, Richard, seems more than a little jealous. 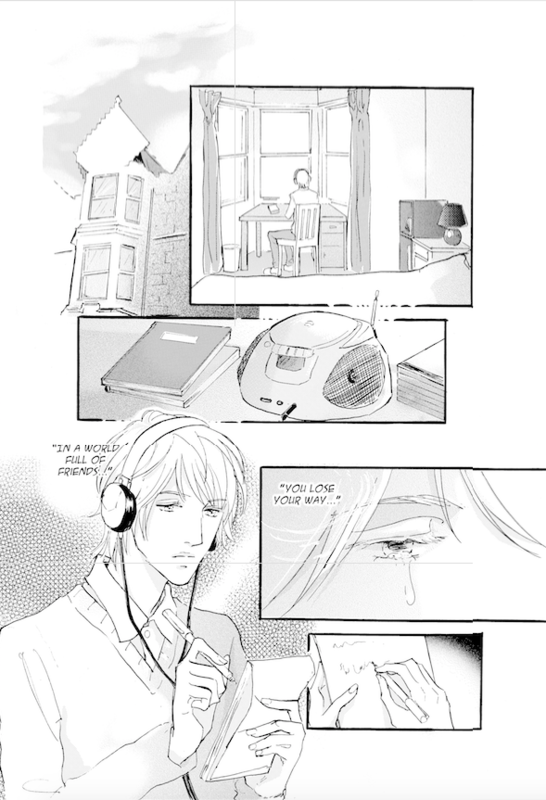 This second installment in the Story of Lee series beautifully showcases the complications of romance in a graphic novel format." Specifically its set in Edinburgh, Scotland - my hometown, and features many real places there, just as volume 1 had many real Hong Kong places. There is an appendix at the back explaining more about those real Edinburgh places. 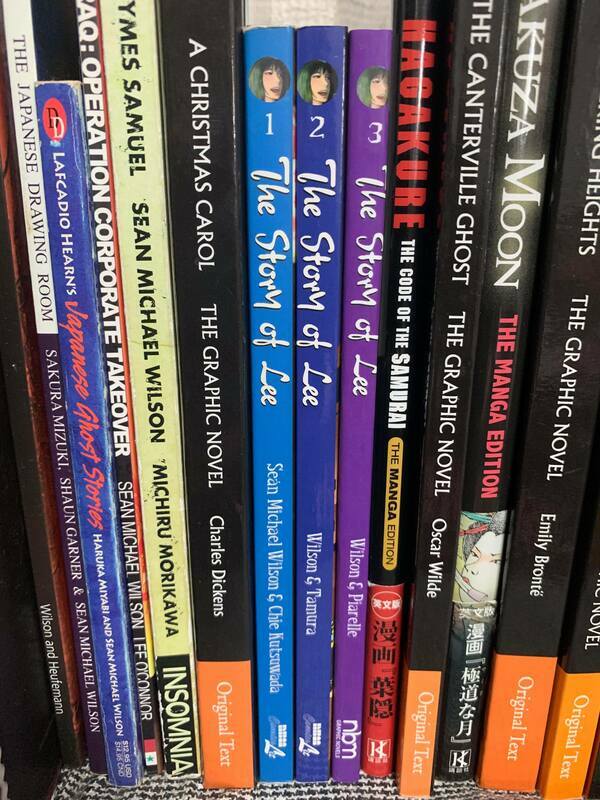 Both volumes are also available for digital download on the popular Comixology site, the digital comics site for ipad, iphone, android, etc now has my own book with NBM Publishing on it - The Story of Lee. Just in time for Xmas! You can download the digital version for only $7.99 (a decent price as the paper one costs $11.99). It's my first English language digital book, although I have one out already in Japanese. 150 pages, mature manga story, art by Chie Kutuswada. There is also a 12 page free preview there on Comixology, as a taster. Nice! Of course, for those of you who prefer good old paper, the book is available from NBM, online and at all good books stores (plus a few bad ones). 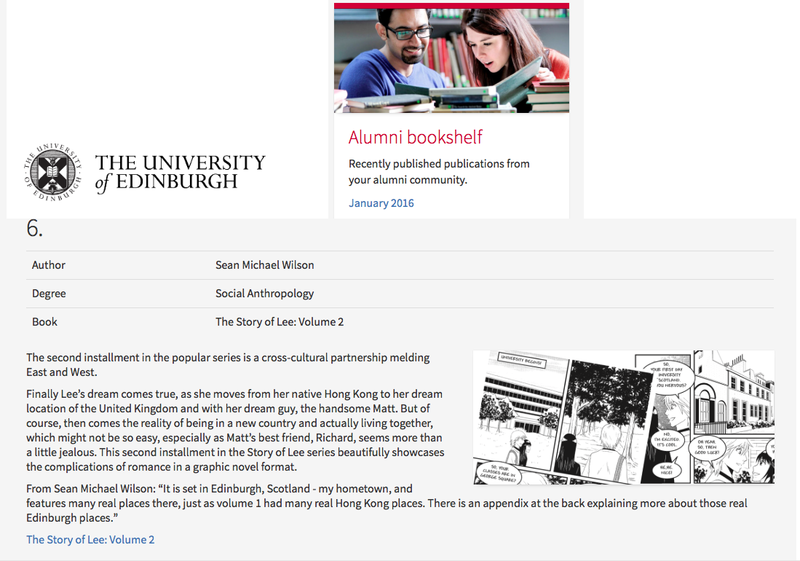 ​The University of Edinburgh kindly features our book THE STORY OF LEE in its newsletter this month, including some visuals of scenes that take place in the university itself. "Recommended. The cultural tension is beautifuilly written, and the story is told well in the small moments between Lee and Matt." 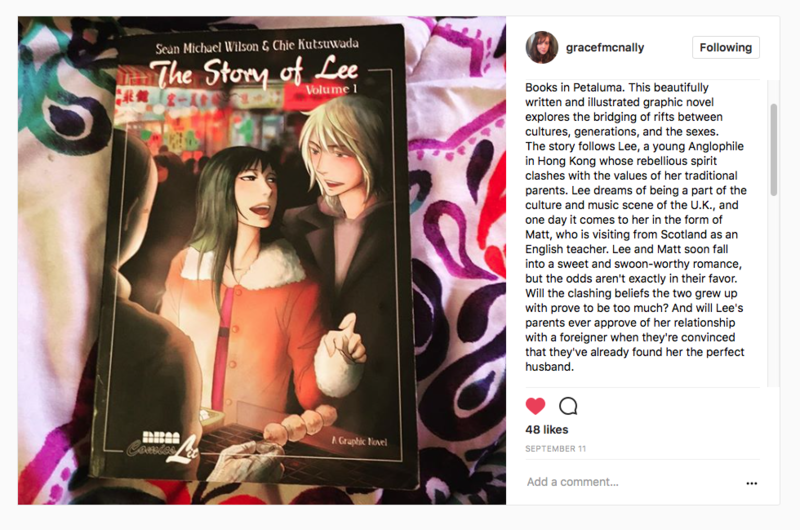 For anyone who is on the scribd.com service both volume 1 and volume 2 of THE STORY OF LEE are there to be read, as part of your subscription. The Story of Lee vol 1 has been on their system for about a year and has had more than 5,000 views already (Vol 2 is only at 8 views so far, as it just went up there) almost as much as Alan Moore and Eddie Campbell's wonderful book 'From Hell' (a book that is, by the way, mentioned in volume 2 of 'The Story of Lee'). ​and right at the bottom the first 20 pages can be read for free.